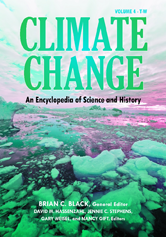 This book provides a holistic consideration of climate change that goes beyond pure science, fleshing out the discussion by considering cultural, historical, and policy-driven aspects of this important issue. Appendix 11: State of Connecticut et al. v. American Electric Power Company, Inc. et al. Appendix 12: Massachusetts et al. v. Environmental Protection Agency et al.